When I was going to Michigan State University, I had to take a course in airphoto interpretation to get my Urban Planning degree. 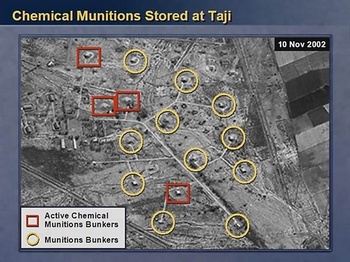 You may remember airphoto interpretation's big day in the spotlight when Colin Powell announced that there were nuclear warheads and copious WMDs in Iraq. 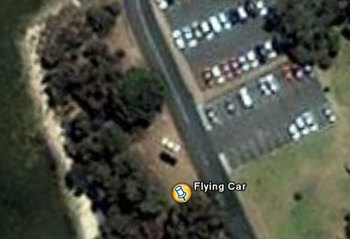 Recently, similar airphoto interpretation skills were employed by Google Map users who noticed there was a flying car in Australia. While I was in my airphoto interpretation class, we were given photos with grainy images and told to interpret them. They were impossible to read. We were told that we had to interpret them in context. Context is in the eye of the beholder. So, in the eyes of people who wanted to see chemical weapons plants ... there were chemical weapons plants. And this ... is a flying car. And I argued vehemently in my airphoto interpretation class that there was a large scale monkey farm just outside of Battle Creek. Sometimes, in order to make good decisions, we need to alter our context. Thanks to Ed Parsons for showing me the flying car.